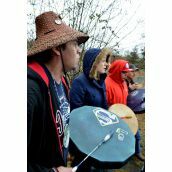 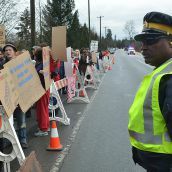 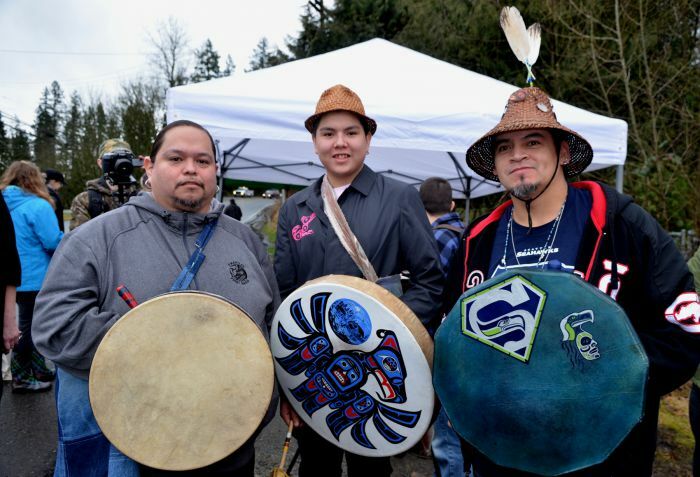 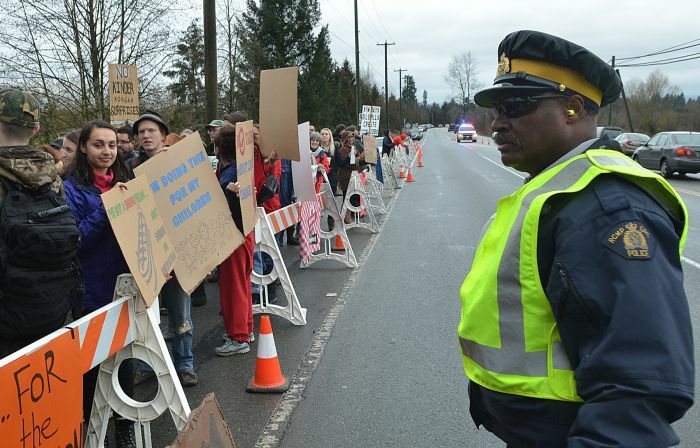 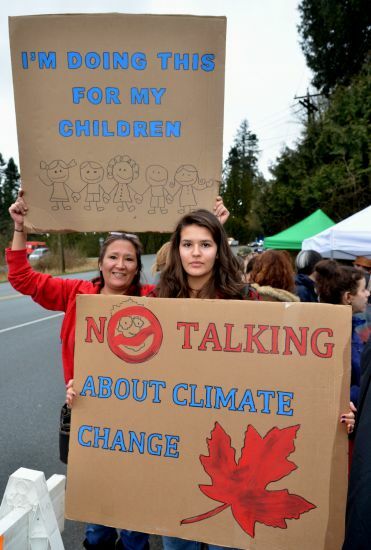 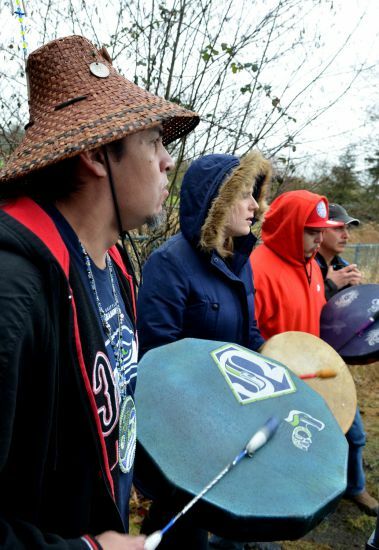 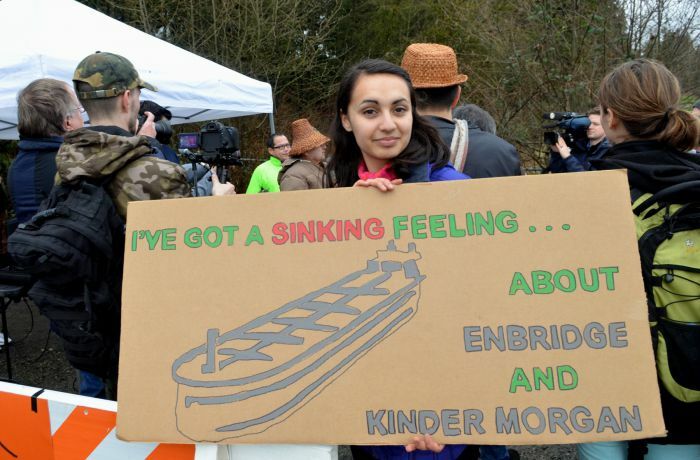 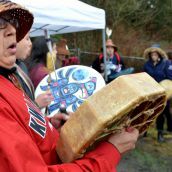 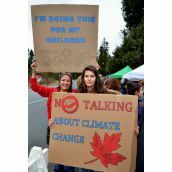 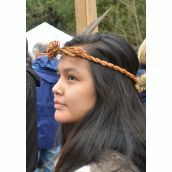 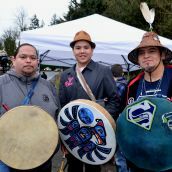 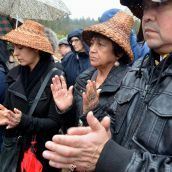 KWANTLEN FIRST NATION - Members of the Kwantlen First Nation led a protest against Kinder Morgan pipeline test drilling near Fort Langley, B.C. 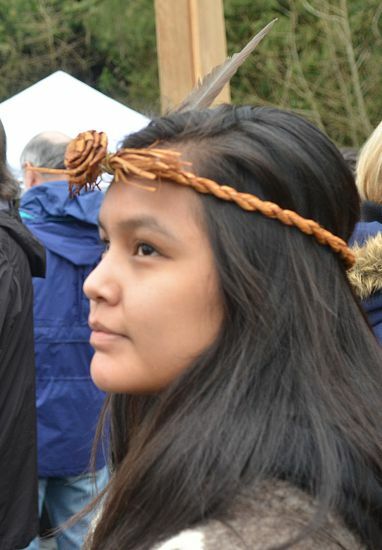 this afternoon. 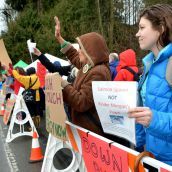 The U.S. pipeline company has been secretly conducting drill bore tests in the area for the past week. 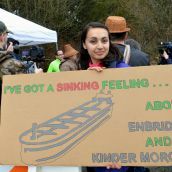 The Kwantlen were joined by other First Nations, community supporters, environomental protection groups and anti-pipeline groups like Pipe Up. 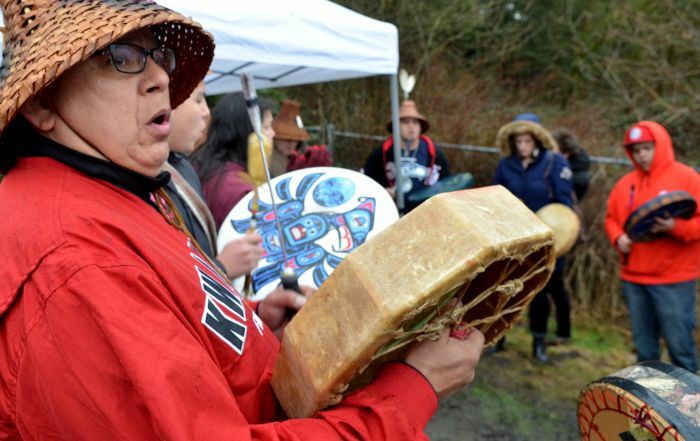 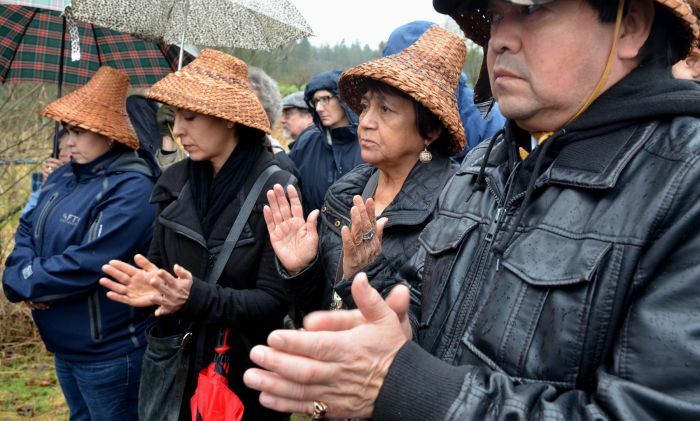 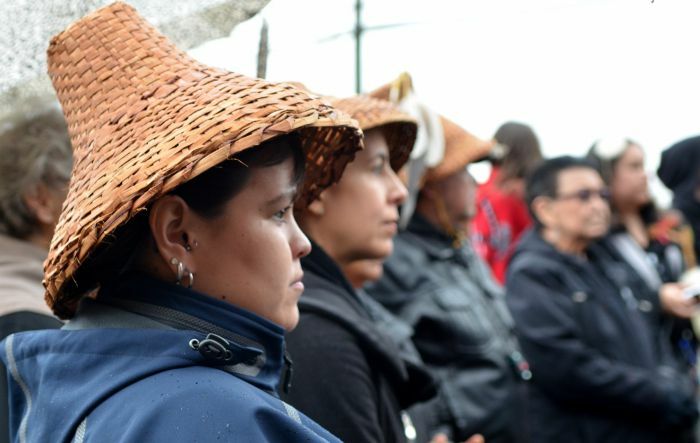 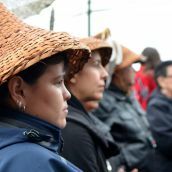 The Kwantlen say the two known drill sites are on their traditional lands in a sensitive watershed and that the proposed oil pipeline expansion must be halted. 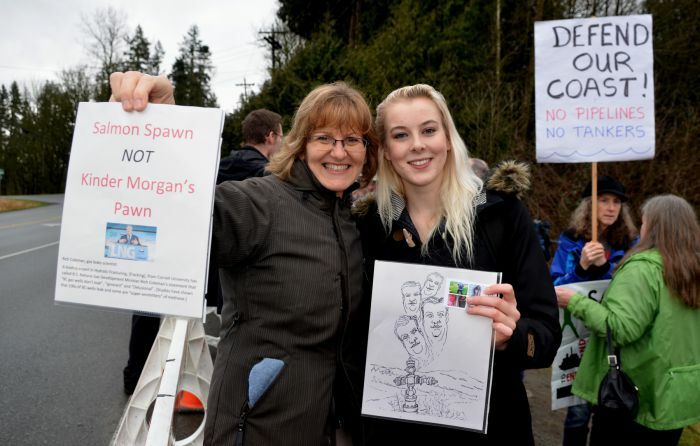 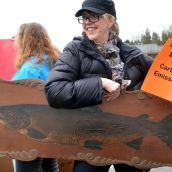 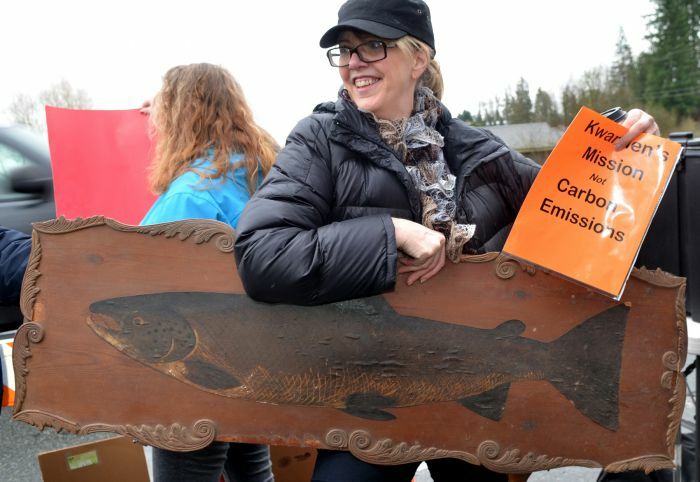 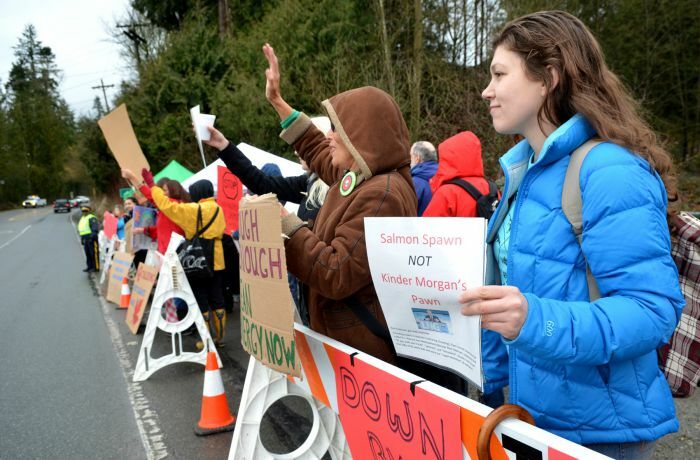 The drilling was discovered last week by a local salmon river conservation group. 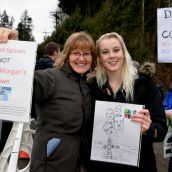 A Kinder Morgan pipeline already runs through the nearby community of Ft. Langley - the proposed expansion would triple current capacity.